Lupin's face will adorn motorcycles in Sakura, Japan. 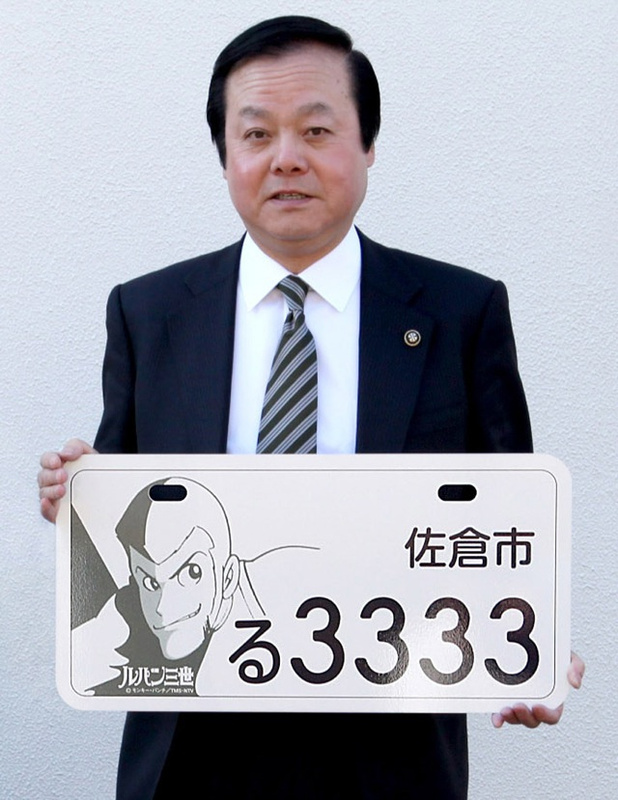 A certain animated master thief will be making his way through Japan in the form of license plates. Sakura City government in Japan will issue 3,000 limited edition Lupin III motorcycle license plates available on April 1. Lupin III's creator Monkey Punch lives in Sakura. Lupin III began as a manga series in 1967, telling the story of a thief named ArsÃ¨ne Lupin III. By now, it has four anime TV series, five animated films, a live-action film, games, a musical, and plenty of TV specials. 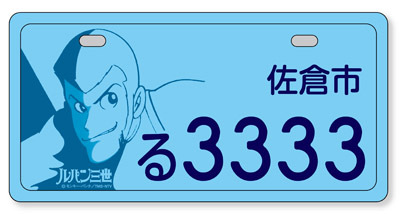 The license plates will use an illustration of Lupin from a famous scene in the first season opening of the anime series. Lupin's face reflects light to reproduce the atmosphere of the "dashing Lupin," according to the city's official website. The license plates are available in different colors, but applicants will not be able to choose among colors. The white plate is designated for bikes under 50cc, the yellow plate is for bikes under 90cc, pink is for bikes under 125cc, and minicars can get a light blue plate. Applicants with the smallest mopeds (50cc and under) have the highest chance of obtaining a plate; the city will issue 2,500 white license plates whereas only 30 blue plates are available. Only mopeds issued in Sakura are able to have the limited edition license plates. City residents can apply for a Lupin III license plate today. If too many people apply, the city will distribute the plates through a raffle. In the past the city of Kotoura-cho in Japan distributed license plates featuring Kotoura from the series Kotoura-san, and Nerima-ward in Tokyo has featured Maetel from Galaxy Express 999, both for motorcycles.